Featured! jennybuttons Home | About Us | Opportunities | Sponsorships | Contact Us! This week in our Featured! 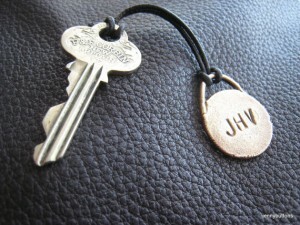 Interview, we’re chatting with Jenny from jennybuttons on Etsy. This amazing artisan works with advanced metal clay to create buttons and cufflinks in traditional styles and custom designs. Today we’re learning about her process, her tools, the online classes she offers, and what’s in store for her shop in the future. Join us! My husband looked over at me while we were watching TV one evening, and said “Just so I get this straight, will you always be doing something while you’re sitting there – sewing, knitting, making something?”. I looked up from my knitting and answered, “Yes, pretty much”, and he said “OK. Just checking”. That pretty much tells you all you need to know about me and crafts. I enjoy sewing and knitting, and now am also a metal clay artist. My grandmother made all my clothes when I was little, and also taught me to embroider. From there I took up sewing on my own. With an education in Art History and Interior Design, I’ve been fortunate enough to have always been involved in creative work. When I picked up knitting again a few years ago, this led to my career as a metal clay artist in my quest to find the perfect buttons and shawl pins for my knitted items. I produce everything in my shop in my home studio, and also do all my own marketing, copy writing, photography, and packaging. Like most Etsy shop owners, I’ve had to learn a lot of different skills as I go along. 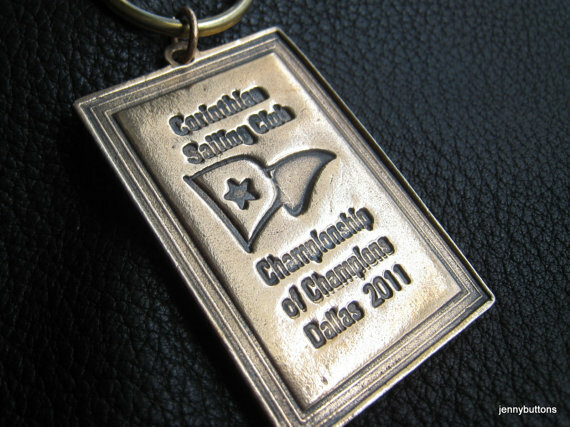 In addition, last June I went to Denver for www.Craftsy.com, and taught a series of about a dozen introductory lessons in Torch Fired Precious Metal Clay. Craftsy is an online venue where you can purchase an online class, and view it again and again to watch at your leisure. You can add your own class notes online, and get your questions answered directly by your teacher (me!) In addition, students can post and share their finished projects online. Filming the classes was both terrifying and gratifying, and I am really enjoying the ongoing process of seeing my students grow in their skills. Precious Metal Clay is a revolution in allowing people to craft in metal without all of the intense expense or tools. What got you started in working with this amazing artistic technique? We traveled to Scotland and I bought a fabulous silver necklace from an artist who had fabricated it with no ‘torch’ work…it was all mechanically joined and just beautiful. I realized I could do that kind of work and not have to have all the big tanks and torches associated with traditional silversmithing. I came home and got the course catalog for the Craft Guild of Dallas to sign up for a silversmithing course just to get started, and saw a mention of metal clay in the catalog under their metalworking category. I did sign up for the silversmithing class that day, but I also googled metal clay. I discovered it was a way to produce fine silver articles from a clay…you form the object, then fire it with a creme brulee type butane kitchen torch, or in a kiln, and you end up with a solid piece of pure silver. The clay consists on microscopic nanoparticles of pure silver combined with a malleable matrix that burns away during the firing, leaving a solid metal object. I YouTubed a couple of videos demonstrating the process, ordered the starter kit, and as my husband likes to say, bigger and bigger trucks have been backing up to the house ever since. After a few months I bought a digital kiln and started working in both silver and bronze. Tell us about the tools and machines you work with, especially your favorites! 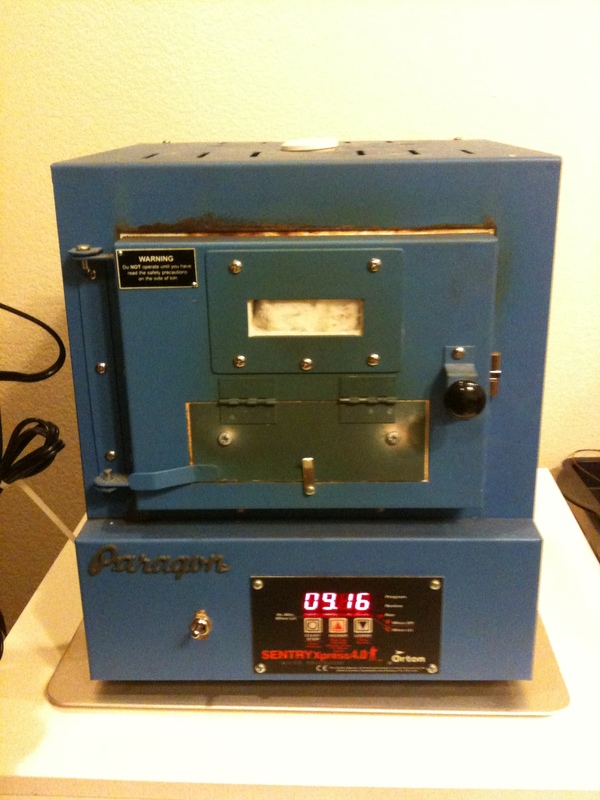 My most indispensable tool is my tiny Paragon digitally programmed kiln. I call it the Easy Bake oven of kilns, not because it isn’t powerful, but because it is so cute and compact. It allows me to really control the heating process and create the strongest metal objects possible from the clay. After that would be my Foredom Flex Shaft Rotary tool, which is basically a very high powered Dremel type tool with a foot control. 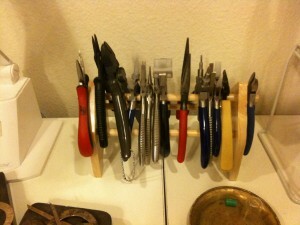 It makes all my drilling, polishing, and grinding much easier and more convenient. I use a large Excalibur food dehydrator to dry the clay items before firing. (If I ever decide to convert to a raw foods diet or sell beef jerky, I’m ready either way). My two Lortone rock tumblers hold polishing media to both smooth and burnish the fired metal objects. As far as hand tools go I have a ridiculously expensive German chasing hammer which makes a delicate shimmery finish on my silver and bronze items…and I also bet I’m the only person you know who got an anvil for Mother’s Day. Less exciting but a wonderful invention nonetheless is a pair of compound gear wire cutters, which magnify the power of my grip and really save wear and tear on my hands. I finally invested in a wooden rack to hold my ever growing collection of specialty pliers for creating bends and loops in my metals. And all this fits in half of a 12 x 12 office. I am very fortunate to have chosen a medium that can be worked with at home, and in a small space. What got you interested in creating for men? 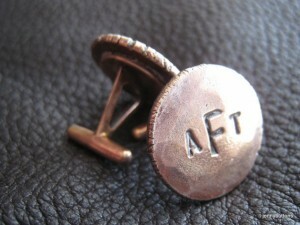 In making my buttons, early on I created a set of raw edged monogrammed blazer buttons. I loved how from afar you could look like you were heading for the yacht club, but when you got up close they were just a little subversive. It was a natural progression from the buttons to cufflinks. I’m glad to see men deciding to have fun with their wardrobes again…although it can take some research for those who have spent their formative years in t-shirts. I had an email exchange with one customer where we had to find illustrations and directions on the Internet for the proper way to insert and wear their cufflinks! 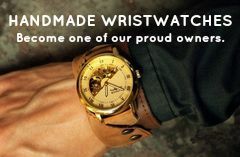 Why do you think men are an important part of the handmade market, and why should they support, wear, and use handmade? When my son bought an iPad, he immediately ordered a Dodo case for it. It was a very simple case, looking somewhat like a black Moleskine notebook, totally handmade using traditional bookbinding techniques. Yet this very old school object was a completely elegant and effective match to the newest technology the 21st century could offer. And he loved that case, and was delighted by that case, just as much as the electronic tablet it held. It was thought provoking to witness. There is not gender gap in appreciating the craftsmanship and ingenuity of a handmade item. Nor is there a gender gap when it comes to enjoying the process of making things. Handmade is not a style – you will not find just rugged items, or just streamlined pieces, or just whimsical ones. At its best, handmade is a commitment: to quality, to individuality, to thoughtfulness. There is a connection, both to the object and to the knowledge that it was created by a person that gives it a deeper value than it might otherwise have had. It is a union of the intellectual, the aesthetic, and the emotional. A beautifully handmade object can change the way you experience the world. I look at the question above “why should men support, wear, and use handmade”, and my first reaction is : Well, why shouldn’t they? Shouldn’t everyone? No one said that only half the population gets to have all the fun! What are your plans for your shop and your work in the coming months? As always, to design new items, make more things, and get those photos taken and pieces listed on Etsy! Use the links below to connect with the jennybuttons shop, and Jenny’s amazing online video classes as well! Tagged Craftsy, etsy, Handmade Buttons, Handmade Cufflinks, Jenny Buttons. Bookmark the permalink.